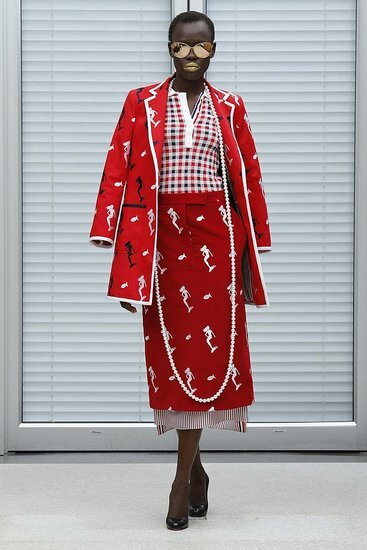 Thom Browne has announced earlier this year that he'll be doing Womenswear for Spring 2011 and I just got the pictures from fashionologie. Thom is known for his slim suits and cropped pants is translating a collection focused on outerwear and trousers. The collection is very menswear inspired women's clothing. He is planning a full runway show planned for Fall 2011.
would this look good on the average women? Would you ladies covet these? Share your comments.